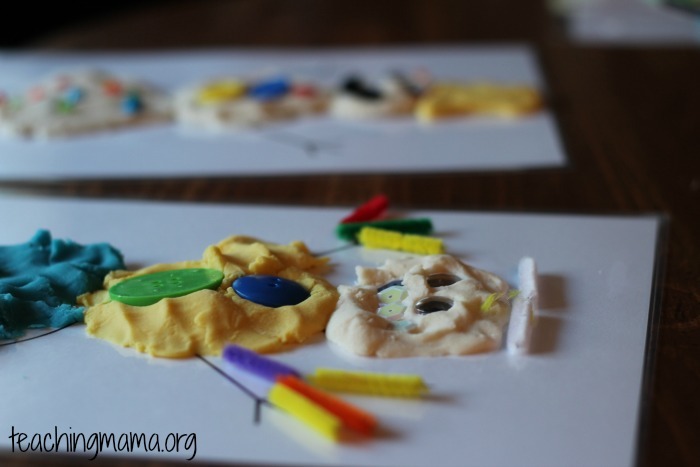 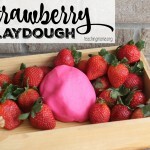 One fun way to play with playdough is with playdough mats! 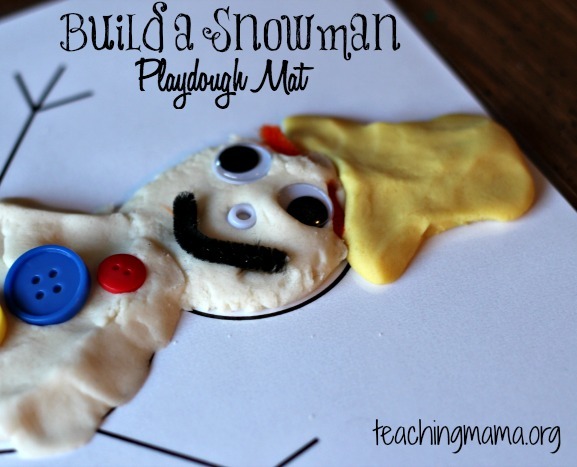 There are many free printables around the web (and some that I’ll highlight at the end of this post), but today I want to share our snowman playdough mats. 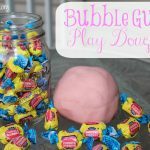 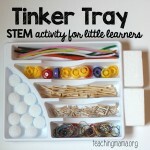 They are so simple and can lead to lots of play time. 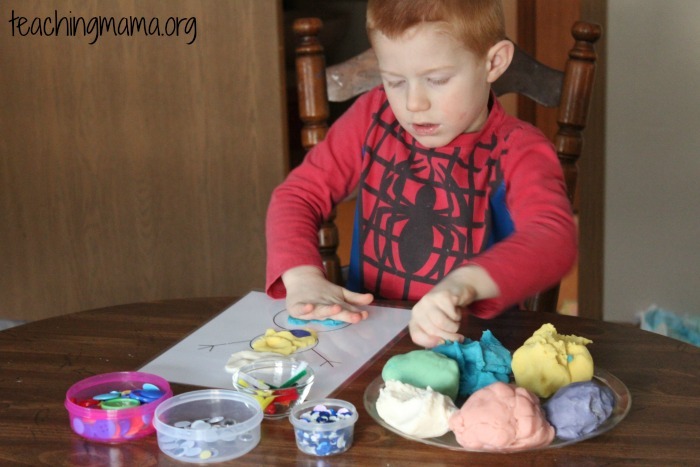 To set up, I placed several colors of playdough on a tray next to the playdough mat. 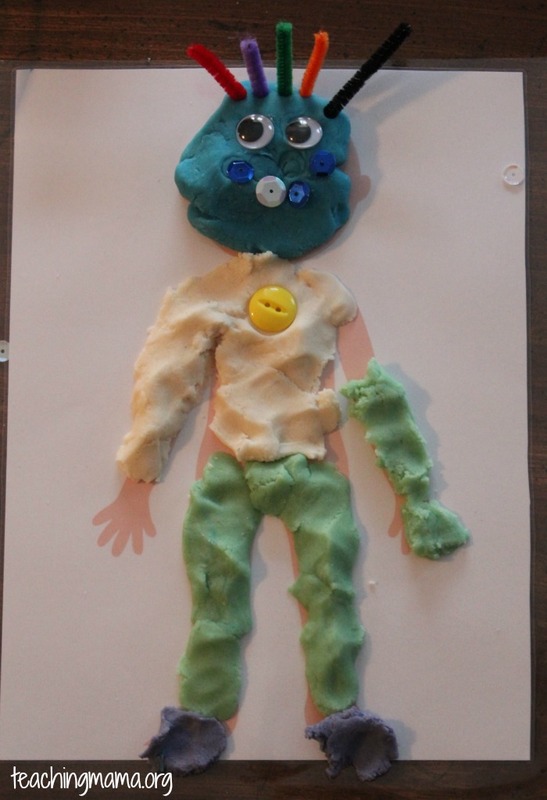 I also set out googly eyes, cut up pipe cleaners, buttons, and sequins. 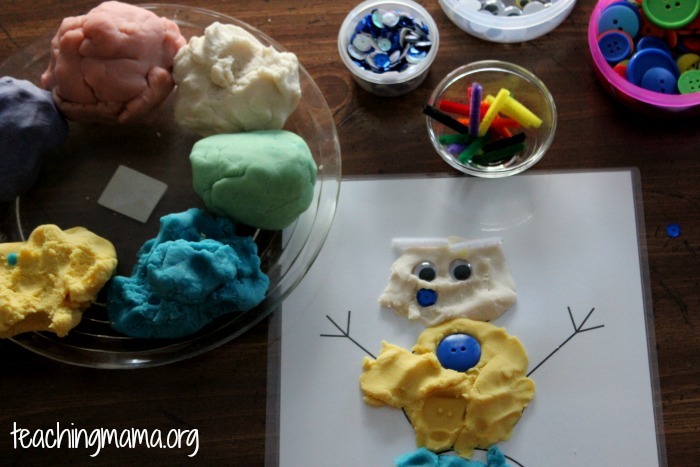 They formed the playdough on the snowman. 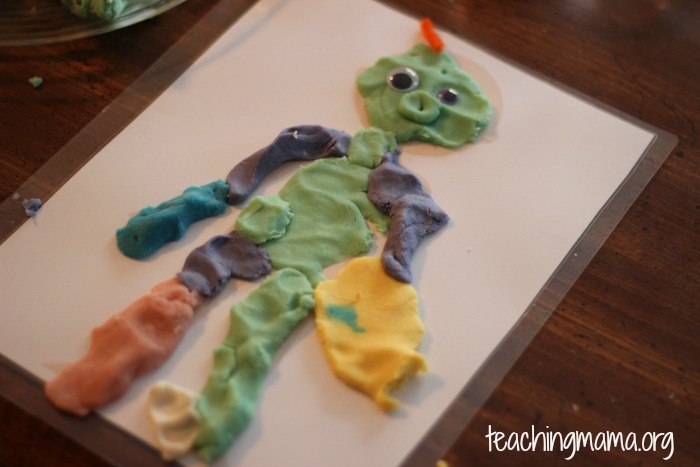 The boys also made playdough boys with printables found on this blog. 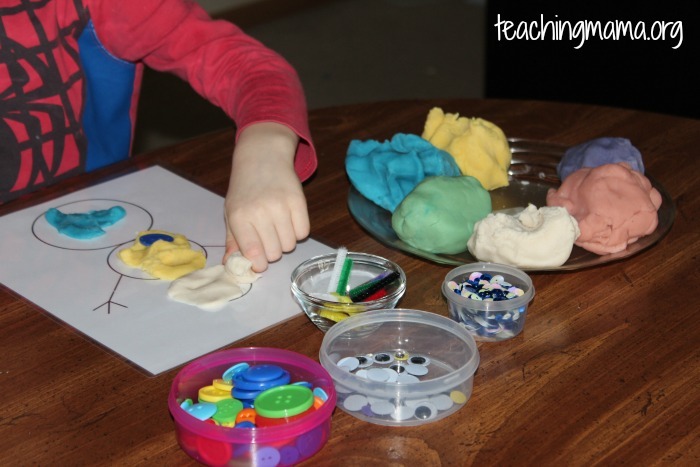 Playing with playdough is great for building up hand strength for fine motor skills. 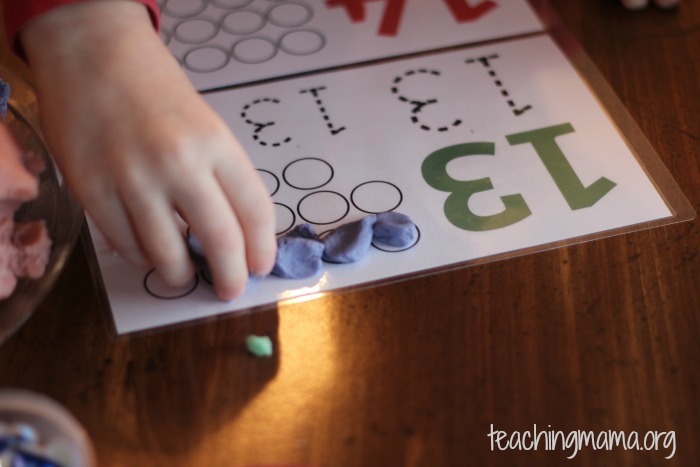 We also used playdough with my number mats. 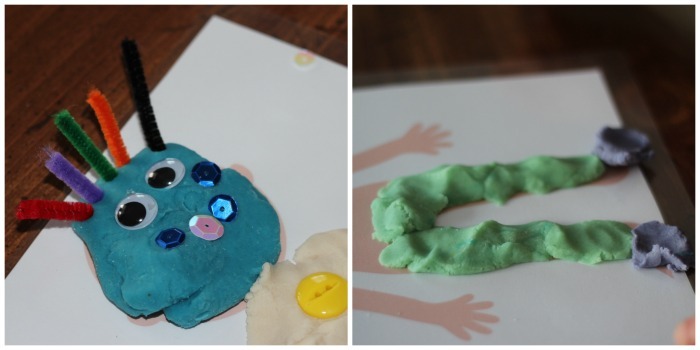 Troy broke off pieces of playdough and placed them in the circles. 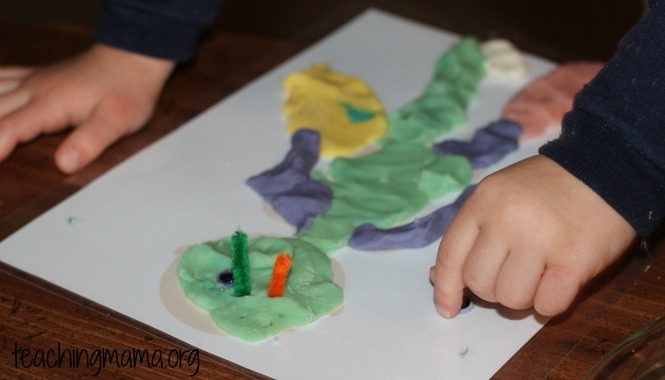 Here are some other great playdough mats from around the web! 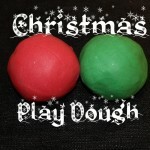 This was day 14 of the 31 Days of Play Series. 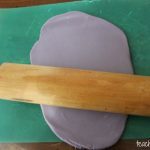 To see all the activities, visit here. 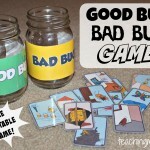 Happy Playing!